Isle of Wight based dancer / singer / guitarist, Matt Kellett heard music from another time when he dozed off while sunbathing at spooky Knighton Gorges. The experience has led to a recording deal and an invite to play at the launch of a book about the haunted Knighton Gorges mansion at Appledurcombe. I’d just done two three hour lectures back to back and I was rather tired driving home. I pulled up on the downs and walked to a hill adjacent to Knighton Gates intending to relax and take advantage of the good weather for a spot of sunbathing. Pretty soon I fell asleep and I dreamt I saw a group of Baroque players walk through the gates and come into the field below me in front of Knighton West woods. Inspired by this dream Matt continued writing songs, and returned to the studio something he has not done since his last album release as guitarist with the late great Johnny Thunders of the New York Dolls shortly before the singer’s untimely death in New Orleans. However things have started moving rather quickly since he played the song to author Gay Baldwin. 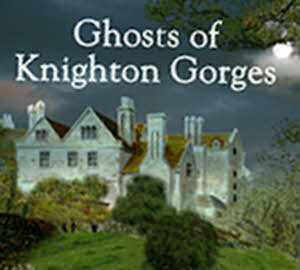 A chance meeting with Mark Tuckey of Ghost walk fame led to Matt relating the story and being introduced to the author who has just finished her new book on the haunted Knighton Gorges manor. On hearing the tune, Gay, who has described the song as ‘an enchanting aire with a haunting beauty about it’ immediately invited Matt to play the piece ‘Knighton Revels’ at the private book launch at Appledurcombe Manor where itreceived it’s first public hearing. The story continues when John Waterman of Solent records heard the tune. ‘I know of Matt as a dancer and was surprised to find he is also a singer and songwriter. Says John: ‘regarding the Knighton melody, I was particularly taken with the haunting quality of the tune when I heard it, as well as the dexterity of the playing and I knew straight away we had to release it’ John pulled out all the stops to release the single to coincide with the book launch the following week. Says Matt: ‘the response has been amazing and I’m really excited about the prospect of playing it in public for the first time at Appledurcombe manor’. 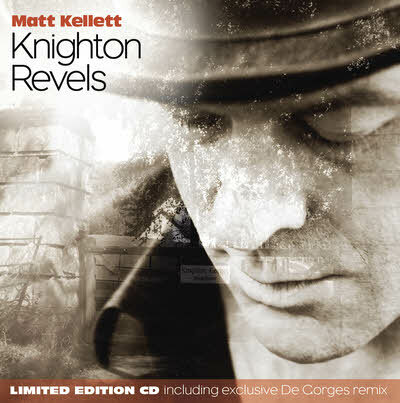 The tune ‘Knighton Revels’, along with the bonus ‘De Gorges’ remix, which adds flute and harpicord to the basic guitar version, will be available exclusively from the Solent Records website and for download from major portals.